If you’re like me and have a door inside your home that frequently gets caught by the wind and slams shut then this is the article for you. In this article, I will be talking about how to prevent a door from slamming, either from the wind or an angry child. How to stop a door from slamming? There are many ways to stop a door from slamming shut, but one of the best ways is by installing anti-slam door hardware like an Automatic Door Closer. There are numerous other ways to avoid door slammings in your home or office, and that is what we will be exploring below. Whether it’s for doors slamming shut or doors being swept by the wind and bang against the wall, we’ve got you covered. There are few very inexpensive ways to help stop a door from slamming shut. Door slams from the wind are of course more prevalent for doors leading outside, especially storm doors. The first thing I would recommend you do before buying anything fancy is to inspect the door hinges. Worn or improperly mounted door hinges can bring about a minor imbalance, which in turn can commence a door to slam on its very own. Open the door to an angle of 90-degrees and then set a leveling tool to make sure the door is not out of balance. Tightening up the hinge screws may correct the problem, but if the hinges themselves are worn, you’ll need to change them. You might think that you need to remove the entire door to remove the hinges but here’s a tip; remove and replace the hinges one at a time, and you won’t need to remove the door. The easier process for replacing the door hinges is, to begin with, the top hinge; by unscrewing it from the door and the from the doorframe. After screwing the new hinge onto the door frame make sure to check the alignment using a level and adjust the hinge until it is completely vertical. After the hinge is properly installed onto the door frame, do the same to the door by tightening the hinge until it’s plumb. Do the same thing with the other two hinges as the top hinge. Check the alignment when replacing the other hinges. The door slamming should cease when everything is done correctly. 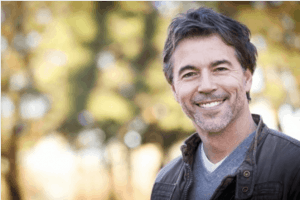 You should buy one that is made from aluminum or steel because they tend to last a lot longer than its plastic counterpart (over 500,000 uses). There is an adjustment for speed and pressure for the automatic door closer. If the wind catches the door, the higher pressure setting in the door closer will assure that the door does not slam shut. Watch the video below for a full instruction on how to replace an automatic door closer. I saw this little home hack on a YouTube video of a teacher trying to find ways to have the classroom door closer quieter. The way the home hack works is by making use of small self-adhesive felt pads usually used to keep the furniture from scratching the floor. Begin by sticking a felt pad on the top and bottom along the edge of the door frame. The other spot to stick additional felt pads is at the top and bottom of the strike plate. The small felt pads should provide enough cushion to prevent the door from slamming by slowing down the door while it’s closing. The cheapest and most low-tech option on this list is by sliding a doorstop underneath the door to prevent it from slamming. Of course, the door will always remain open while the doorstop is in position; But this would be a great option if you have a door that frequently slams shut from gusts of wind coming in through an open window. You don’t need to install a dull plastic doorstop, you can now buy different types of doorstops that could match the decor in the room. Yes, another weatherstripping options. If you’ve been reading some of the different articles that I wrote on this website you will notice how many unique ways I make use of a simple yet effective weatherstrip. If you have a more massive door and felt pads didn’t do the trick, a weather strip might be your next best option. A soft and squishy weatherstrip will not only avoid the door from slamming but also help muffle sound coming from the next room after you close the door. The one I would recommend is the Frost King Rubber Foam Tape (Amazon Link). The Frost King Rubber Foam Tape might not be called a weather strip, but it’s a cheap option that will work. Before applying the foam tape, wash away any dirt and grime from the inside of the doorframe. After the edge of the doorframe is clean and dry cut a piece of foam tape measuring the full length of the doorframe from top to bottom. Press the foam tape into place along the entire length of the doorframe and voila, Done! Another excellent and cheap anti door slam product is a door silencer. You would have probably seen a door silencer on heavy steel doors inside hospitals and schools. A door silencer is a conned shape small piece of heavy-duty rubber material molded to a flat circular backing. Rubber Conned Shape Door Silencer. A door silencer is an easy DIY project that most anyone is able to install. This rubber object can be applied to not only metal doors but can also be applied to wooden doors. Begin by drilling a 1/4″ hole into the doorstop section of the door frame. 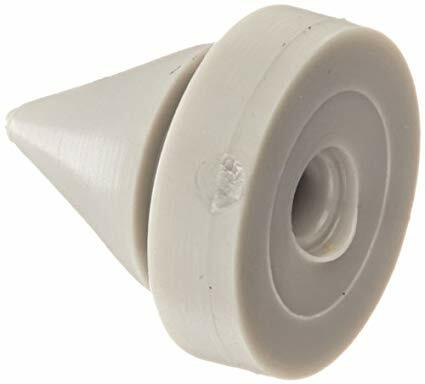 The 1/4″ cavity will allow the rubber cone to slip inside without being able to fall out securely. The 1/8″ flat section or the door silencer will sit along the door stop section of the frame acting as a shock absorber. The 1/8″ silencer is flexible enough for the door to securely close without making as much noise as before. There is a product available called the Dreambaby Stop Slam and it is an anti door slam that people either love or hate according to the Amazon Review section. I’ve personally never used this product but have talked to someone in a baby forum on Reddit that has, and they said that it does work. For some reason, it doesn’t work for everyone, but that could be because of improper installation. The Dreambaby stop slam was created so the door wouldn’t slam on a baby’s fingers but many people continue using it even after a child grows up. One person on Reddit said they took it off the baby’s room door and attached it to another door inside the house where the wind would catch it and often slam it shut. Works like a charm they said. Many little gadgets resemble the Dreambaby door slam so make sure to read the reviews and try not to only focus on the negatives. The Wittle finger pinch guard is probably the simplest and easiest anti-slam door hardware to use. This product is usually advertised as a baby or toddler pinch guard but works great as a doorstop. The small C shape foam provides a soft cushion between the door and the door frame and acts as a door draft stopper. The pinch guard will stop door slamming in the wind coming in from an open window. This anti door slam product is easy to install by placing the finger pinch on the top of the door at least six inches from the outer edge. You can hang it on the doorknob when it is not in use. The all-metal magnetic door stop will prevent the door from slamming shut from the wind while the door is attached to the doorstop via magnet. I read in a Reddit forum that someone recommended this anti door slam product because of how good it works due to the powerful magnet keeping the door from closing from a wind gust. You can attach it on the floor or the wall; either position will work. 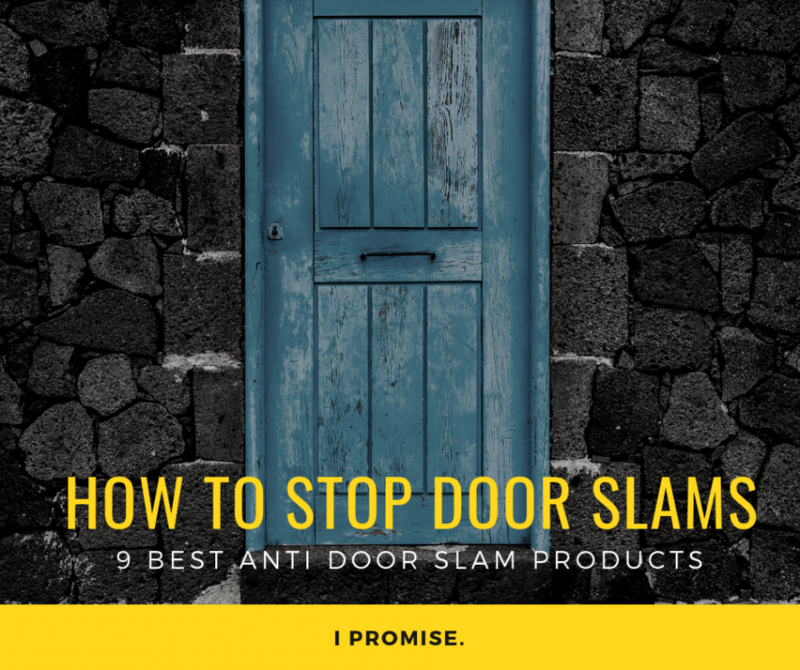 I am sure that out of this list of anti door slam products you will have no problem finding the right hardware for your door. Please let us know if you have other suggestions or methods regarding a door slam preventer. Don’t forget to check out our new YouTube Channel! How to Soundproof a Room For Under 50 Dollars That Actually Work! welcome to your soundproof guide! The collaboration of people behind Soundproof Guide are from diverse backgrounds, including Building Contractor, Sound Engineer and Interior Decorator. There are many amateur Soundproofing Websites out there, some have great information and others are misleading. Our team has worked in the field of noise reduction and will give you accurate and trustworthy information. Thank You for visiting our website. We hope you become a regular visitor.